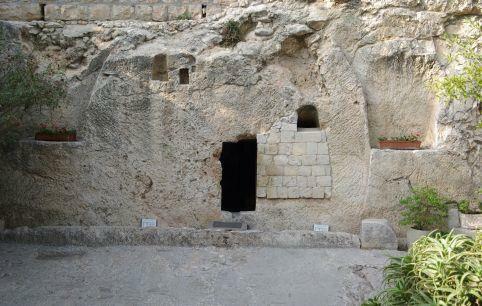 The Garden Tomb is an alternative site to the famous Holy Sepulchre for you to consider the Crucifixion and Resurrection of the Lord Jesus Christ. The Garden is a beautiful place in which you will discover several things that were all here on the night Jesus died and which match the accounts in the four Gospels. We never claim to be in the right place as we could never prove that; but where Jesus died is of little importance compared with why.